I am currently on a Southwest flight headed from LAX to ATL on Monday, January 4th. 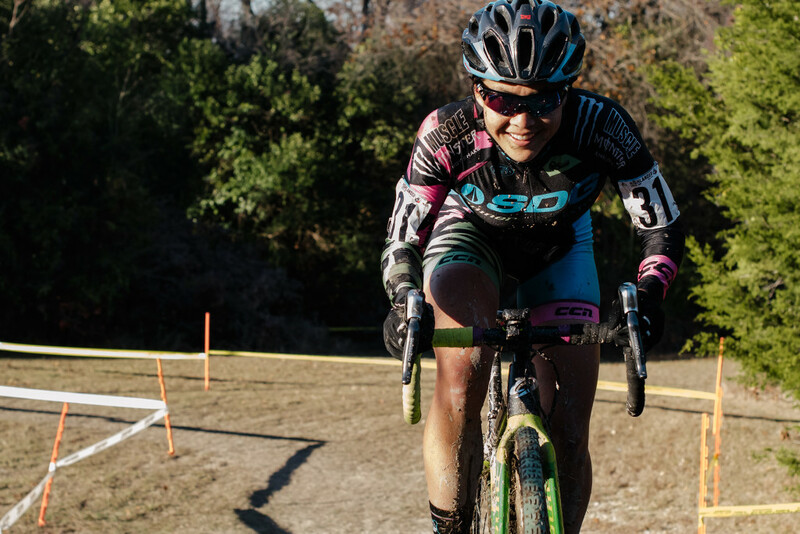 USA Cycling Cyclocross Nationals looms in the near distance and I reflect on a full season of racing and what’s still in store for me. Some people like sharing the goals they set for themselves and some people don’t. It’s personal preference if you want to share it as motivation and accountability or keep it close to yourself. I shared a couple of my goals in my podcast interview on Crosshairs Radio, but I figured I’d make a post on the list of goals I wrote back at the beginning of the season. I was in the car and if I remember correctly we were driving home on the day after Cross Vegas from Las Vegas, Nevada. We were discussing the race and the upcoming season. Looking back on it, I was still bummed about not being given the opportunity to race Cross Vegas and was dealing with “fear of missing out” due to starting my season a little later than everyone else. My first UCI weekend wasn’t going to be until Providence, a full month after racing had started in Rochester and China. But, David wanted me to focus on the big picture and take my mind off the immediate dissatisfaction of not racing at the beginning of the season with everyone else. Writing this list of goals allowed me to focus on training, trust the system, and keep my head in the game heading into my first race. I do think that I held back in what I thought was possible for myself. I wasn’t overly optimistic, but realistic in what I wanted to achieve. At this point, I have successfully crossed all my goals off the list. 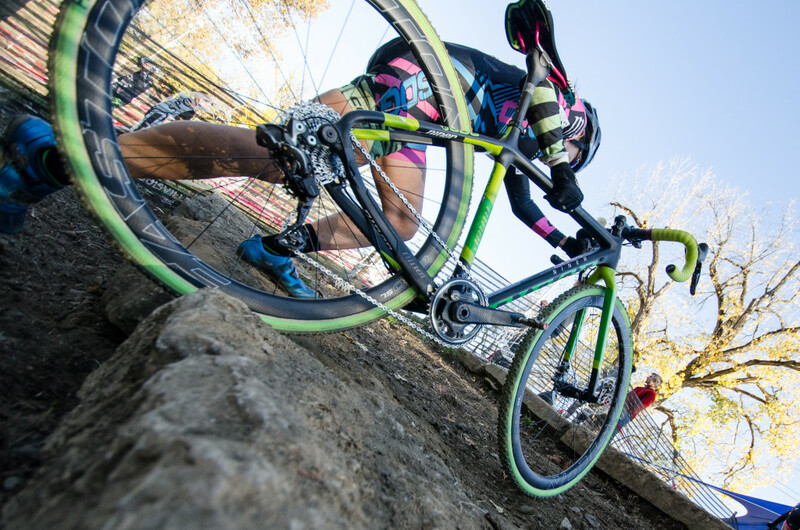 I started in 16 UCI races: two races each at Providence, Waterloo, Cincinnati, Louisville, CXLA, Tulsa, Dallas, and Waco. However, I did not finish the Saturday race in Louisville due to the crash at the start and therefore did not collect any points on that day. So, although I started 16 races, I finished 15 and obtained UCI points in all the events I finished. Staying with a positive note, I am crossing number seven off the list because the crash basically didn’t allow me the opportunity to race. I really wanted to get on a UCI podium. That was a huge goal for me this season. I wanted to stand on one of those steps at least once and put an arm up in the air. I kept the top five goals on there as a marker for where I’ve been before, having finished fifth a couple times in the past two seasons. 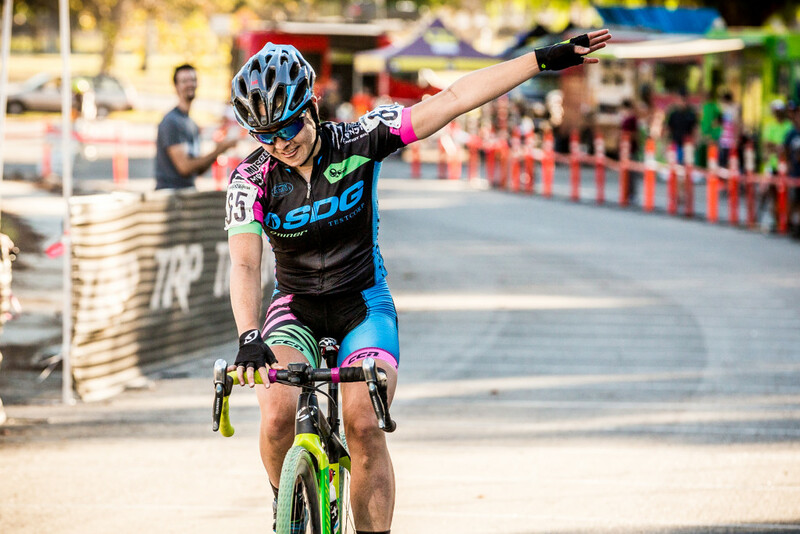 I grabbed a fifth place on day one at CXLA and focused my attention on the Southern Cross Series road trip that David and I had been planning since August. In January 2015 at the Resolution ‘Cross Cup that took place the weekend before Austin CX Nationals, David and I met Jeff Lucido after the races and he told us he had big plans for a couple weekends of racing in Texas the following year. Immediately, David and I said we would plan for it and when the UCI schedule was released a couple months later, it made sense to organize three weeks on the road in Oklahoma and Texas in December 2015. As cheesy as it sounds, what transpired in those three weekends of racing was truly life-changing in respect to my goals within this sport. I ended up on the podium in all six of the races and five of those on the top step. At the end of my Highlander report, I mention the leap in points and rankings that those six races produced. I was in the middle of nowhere Texas en route home when Scott Dedenbach (Cyclocross Network) messaged me that the updated UCI rankings had put me in 48th. Forty… forty?! Forty-something?! The significance of this was bigger than I had anticipated. As it turns out, I could have hopped on a plane and flown to Belgium to race in the Zolder World Cup that Saturday if I had been able to. I was twelfth of the twelve American women ranked within the top 50 and per the UCI rules I could’ve started a World Cup that weekend. How crazy is that?! Let me backtrack a second to the eighth goal on my list: top 15 of the American women. My thought process here was that 17 women were selected for the Cross Vegas World Cup in 2015 because the United States were granted additional spots to promote “growth” for the sport in this country and because it was the first World Cup being held in the United States. Therefore my biggest goal for the season was to make it safely within that list of women who get selected for whatever North American World Cup(s) take place in 2016. I knew that without racing a World Cup and without a travel budget to get me to many of the east coast races, this would be extremely difficult to achieve. But, now I was sitting within the safety zone of the top 50. Each country is allowed to start eight women at a World Cup, regardless of rank. If you’re in the top 50 though, you’re allowed to start a World Cup even if there are more than eight women sitting within the 50. Being in the top 50 is the safety zone, but you have to fall within the top 50 when the most recent ranking list is updated and that’s usually 5-6 days before the event. Anyone who has ever planned for transcontinental travel knows that less than a week’s notice on being allowed to race isn’t much room to plan for success. The season isn’t over on January 11th when Nationals finishes up. For the top riders, the next stop is the World Cup on the following Sunday in Lignieres-en-Berry, France. The Sunday after that is the Hoogerheide World Cup, and then the World Championships in Zolder the next weekend. I suddenly found myself researching the possibility of racing in France after Nationals and what I would have to do to make it happen. I reached out to the all-knowing, all-helpful Helen Wyman to get her opinion on my situation given that I was teetering on the edge of getting bumped out of the top 50 after the “Kerste Period” of races in Europe. She quickly sent me back a slew of suggestions and advice that I am so grateful for and have helped shape my current situation. The most significant point she made was regarding my goal of racing in the North American World Cup(s) in the next season. She said that Cross Vegas 2015 had been an exception to the 8-rider maximum and the exception would likely not take place in 2016. Thus, there’s a good chance I HAVE to be in the top 50 to race a World Cup on this continent next season. At this point in the season my only options to maintain my top 50 ranking is to get points at Nationals, hope the European races don’t bump me out significantly, actively pursue a start at the World Cup in France, and possibly race at the World Cup in Hoogerheide if I can stay within the top 50 by that entry deadline. Even if I don’t get a top ten finish and points at Nationals, if I’m able to start in France and/or Hoogerheide, I can be (almost) guaranteed another set of points added to my ranking. With the way the UCI rankings work, these late-season World Cup points would help me achieve a WC start on home turf next season and that would be simply amazing. I’ll race my heart out at Nationals on Sunday. I’ll do a recovery spin on Monday in North Carolina and wait to hear from USA Cycling if my entry is confirmed for France. Once it is, I can process my reservation with United and get on a plane on Wednesday morning to Europe. Whew!!! I had the ride I wanted at Nationals and I’m in France getting ready to race. All systems go. Look for my Nationals write-up soon. “my biggest goal for the season was to make it safely within that list of women who get selected for whatever North American World Cup(s) take place in 2016”. After checking the latest (Jan 19: post Lignieres, before Hoogerheide) UCI rankings and doing some simple maths, it’s looking good for Amanda. At the moment she’s 47th, that’s three above that elusive 50th place in the UCI rankings required for automatic qualification for a World Cup. Amanda will ‘automatically’ gain 4 places. Four riders (Marianne Vos, Ferrand-Prevot, Chainel-Lefevre and Rachel Lloyd) with a better ranking at the moment, won’t be able to ‘defend’ the points they got last year at Hoogerheide and/or the World Championships. That’s a virtual 43th position in the UCI rankings for Amanda. And there is more. If Amanda gets 10 points at Hoogerheide (50th or higher will do in a field of 73) she will jump over Kathryn Cummming. That would be a virtual 42th position. What about Amanda’s direct opponents for 50th? Only when several (4-5) of these women get surprisingly better than realistically to be expected results in Hoogerheide and/or at the World Championships, Amanda will be ‘safe’ in the top 50 by the end of the season.